How soon to a new Madonna album? Did you see? 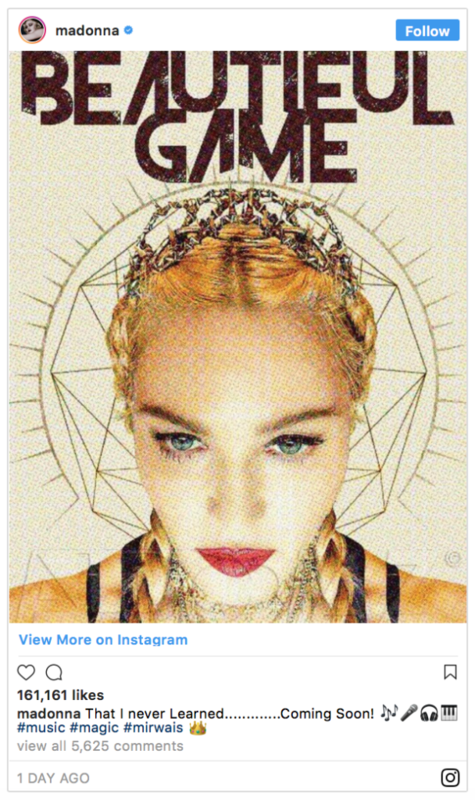 Madonna took to her instagram account to tease new music. We haven’t heard anything new since March 2015 when she released album #13 ‘Rebel Heart’. That album had a few guests; Nicki Minaj, Chance the Rapper and Mike Tyson. Wonder if her new album will have more of the same? Regardless, no doubt she’s hoping a new album will do better than the last – her worst performing commercially in over 20 years. Does she have another good album in her? I think so.